Don't understand why a Keeper of his level is happy to waste some of his best years sitting on the bench. He could start for the majority of the teams in the PL. Lucky to have such a fantastic keeper who is happy to be second choice. Clearly haven’t watched Romero for us. Been fantastic as a number 2. I am surprised as well. He is an International Keeper for Argentina and he could play for a number of top clubs. Big Serge delivers when called upon. Gotta be the best backup in the league! He's certainly better than all but 4-5 keepers in the league. Absurd having him as our backup keeper, really is. Was great again today. Best back up goalie in England by miiiillles. What an attitude he must have to come in whenever needed and put in fantastic performance after fantastic performance. He’s such an important squad player for us. Also love the fact that Ole has gone back to Fergie days by sticking with the reserve goalkeeper even in a big cup tie. Great game. Did the job pretty well. He has to be the best backup goalkeeper in the league. Quality today and that save at the start of the second-half was De Gea-esque. He's got to be the best backup keeper in the world, doesn't he? He had one poor match earlier this season and another poor one two seasons ago, but otherwise he's been great. To be fair, Mourinho played Romero in pretty much all the cup ties, including all the way to the Europa League in his first year. Coolest goalkeeper in the world, so nonchalant. Once again didn't disappoint. Wonder when will be the next time some people ignore that again inevitably and call playing him even in cup games wrong though. Love how he's chewing gum during games, overly composed. We're lucky to have him as a second choice GK. Always reliable and made an excellent save early in the second half. And always looks as if he couldn't care less about the saves. Best 2nd choice of all time? He probably would be Arsenal's first choice right now . Fair play Sergio. That save from Ramsey was De Gea style. Really kept us in the match at that point. Was also a hugely underrated miss for Argentina in the World Cup. His handling was good and he made a vital save just after the break to keep us in the lead. Apart from his distribution, very good performance. Cech at Chelsea was better - albeit for only a season. Forgot that had happened. Cech is hands down the best back up ever so. 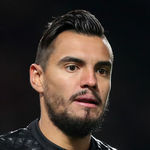 I still reckon that Romero would currently start for Arsenal and would have for Pool last year. World class save from Ramsey's header and made a couple of other decent stops as well, but that Ramsey one was top of the pops from a keeper that barely gets any game time. I am always torn when it comes to Romero. He is such a great keeper and has been incredibly loyal in a period when he would make most first teams in world football. I like the guy a lot and he is an incredible backup to De Gea, but would be happy for him if he ever decided to leave. I said this to my son. He'd easily be the starting keeper for a minimum of 14 Prem sides. We're very lucky to have him as our back up, he could easily be a starter at another club. Very solid keeper. Reckon he'd start for every side in the league bar City, Liverpool & Chelsea. Tremendous as a back up. Quality keeper, seems very likeable, great member of the squad. That save early in the 2nd half was absolutely outrageous. De Gea would have been proud of that.